Although Silvio Berlusconi, Italy’s prime minister, again refused to concede defeat when he spoke to reporters April 18, official results continued to point to the almost certain victory of Romano Prodi, the candidate of the center-left “Union” coalition in the country’s parliamentary elections. The official figures also point to larger-than-expected gains by Italy’s communists. Communist Refoundation won 27 seats in the Senate and 41 seats in the Chamber of Deputies, a total of 68 seats, topping the 54 it won in 2001. The Party of Italian Communists increased its parliamentary presence by more than a third during the same period, winning five seats in the Senate and 16 in the lower chamber. Italy’s high court certified the results, based on a partial recount, on April 19. Once the new Parliament is installed, selecting a president and forming a government will be the next order of business. With the Union having 340 lower chamber deputies and the opposition having 277, the center-left coalition will be able to govern the country. 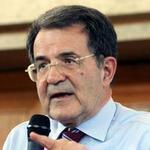 Prodi has already announced that one of the government’s first actions will be to immediately withdraw Italian troops from Iraq, as was agreed to in the joint program signed by all the parties composing the Union.